to place you inside a Cobra helicopter in the middle of a firefight and leave you white-knuckling the book. Two tours of duty in Iraq, plus service in East Timor, ignite his writing with the realities of life on the edge of death in a war zone. Dan’s writing honors include the prestigious Nautilus Award, placing him in the company of other recipients including The Dalai Lama, Amy Goodman, Desmond Tutu, Barbara Kingsolver, Deepak Chopra, Marianne Williamson and others whose writings are "changing the world." 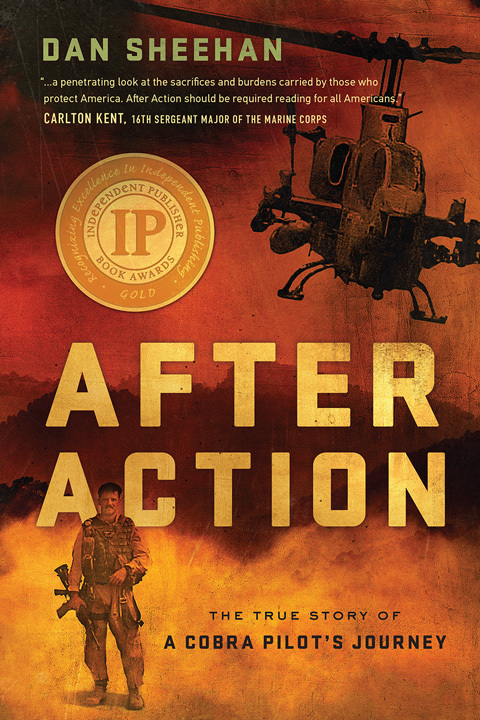 After Action takes you to another edge, as well - one inside, where a decorated veteran who returned home without physical scars is forced to face invisible wounds. After the action was over, Dan was plagued with a hyper-vigilance and restlessness, two classic symptoms of Post-Traumatic Stress Disorder. After Action: The True Story of a Cobra Pilot’s Journey takes us on a very personal journey inside Dan’s struggle to admit that, although he’d left war behind its effects had snuck home with him in painful memories and buried feelings he did not want to deal with. This honest memoir is tour-de-force through the theatre of battle… and through the soul of a strong man who finally admitted he needed help and healing. 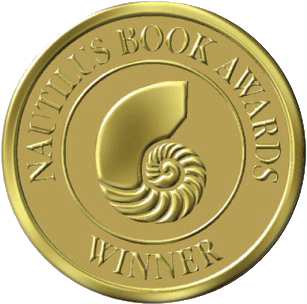 Check out and buy Indie Award-winning After Action at Amazon. 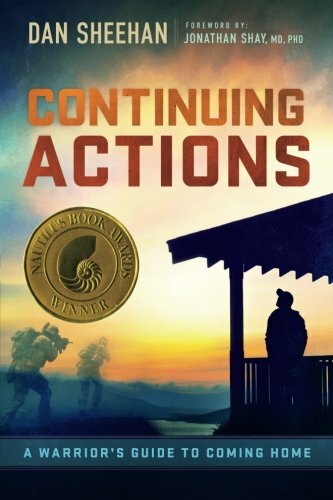 Continuing Actions: A Warrior’s Guide to Coming Home is Dan’s Nautilus-award winning second offering – a pragmatic guide for the combat veteran and those who care about them. It offers a clear pathway to help resolve painful memories, edginess, anxiety, unexplained anger, depression and other unfinished business of war. Dan faces a special problem of veterans head-on. Check out and buy Continuing Actions at Amazon. Watch Amazon’s interview with Dan. You can also check out Dan’s website.